- 16th century tower house overlooking Galway Bay, 5 km west of Ballyvaughan off the coast road to Lisdoonvarna. 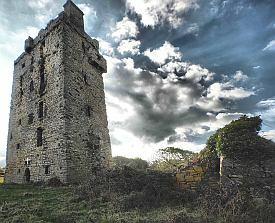 impressing ruins of a 16 th century castle on the south rim of the Burren, 5 kmeast of Kilfenora. The holy island in the Shannon abeam Kilrush where St Senan is believed to have founded a monastic settlement in the 6th century. 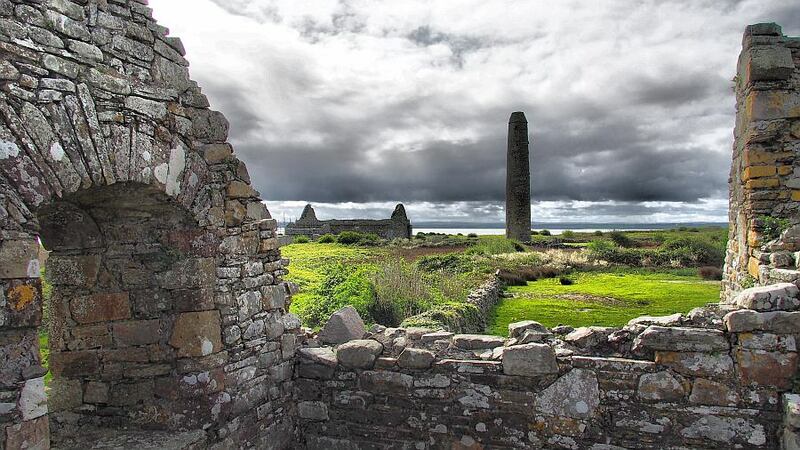 There is a fine round tower, a well and the ruins of a cathedral; a church and burial place of Senan and an ogham stone; the church of Ard-na-nAingeal; the late medieval church of Teampall na Marbh; and the remains of an Elizabethan castle. Also on the island: the Scattery Island visitor centre, a lighthouse, a gun battery from napoleonic times as well as an abundance of wildlife. Boats go there from the Kilrush Marina from May to September. 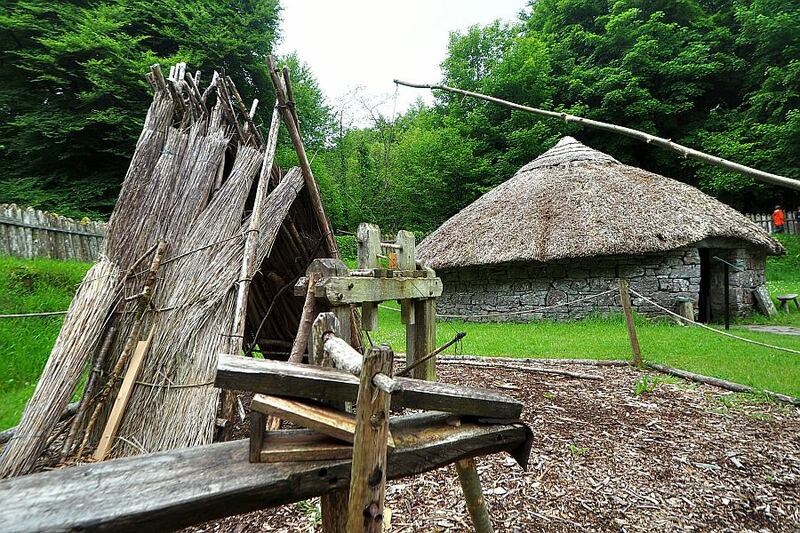 - A reconstructed crannog (lake dwelling), a ring fort & moreexhibits give you an insight into pre-historic and early Christian life. The "Brendan" boat is also located there. pre-celtic settlement, Ireland's largest stone circle. Visitor centre, audio-visual shows. in St.Cronan's Church, East Clare; itself a fine example of the early Christian churches in Ireland. Brian Boru, the Irish High King who was born here 940, enlarged the church in 1007. The Killaloe Heritage centre gives an insight and an audovisual show on the life of Brian Boru. 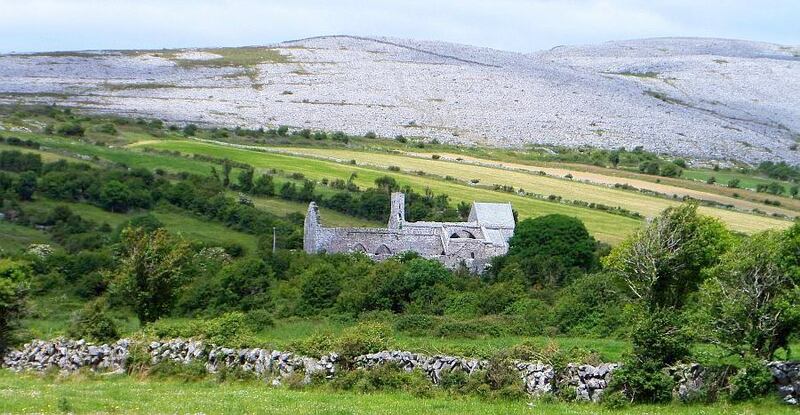 In the Burren: Corcomroe Abbey is just one of the many medieval ruins in the area. The remains of the cistercian abbey dates from the 14th or 15th century.